As CEO of Isobar MENA and Digital Republic linked by Isobar, Karim is responsible for one of the region’s fastest growing, full service digital agency networks. With over 20 years’ technology, marketing, telco and advertising experience, Karim’s expertise lies in all that is digital. Karim founded Digital Republic in 2009, launching offices in Cairo and Dubai. 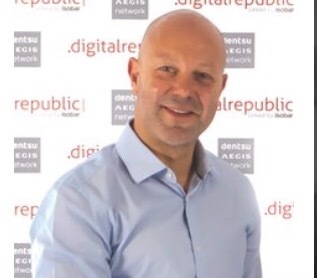 One year later, Digital Republic was partially acquired by a major institutional investor, before Dentsu Aegis Network acquired a majority stake in 2016. Career highlights include pioneering mobile internet since its inception with Vodafone Global in 2000, delivering the first Egyptian 3G network in 2007 and launching an innovative mobile ad portfolio in the Middle East in 2008. Karim has been an elected member of the EMEA Board of the Mobile Marketing Association (MMA) and a regular contributor to industry thought leadership and events. He also serves as a member of the tech start up and entrepreneurial ecosystem as a mentor and advisory board member for several tech start-ups, incubators and VC firms across MENA.